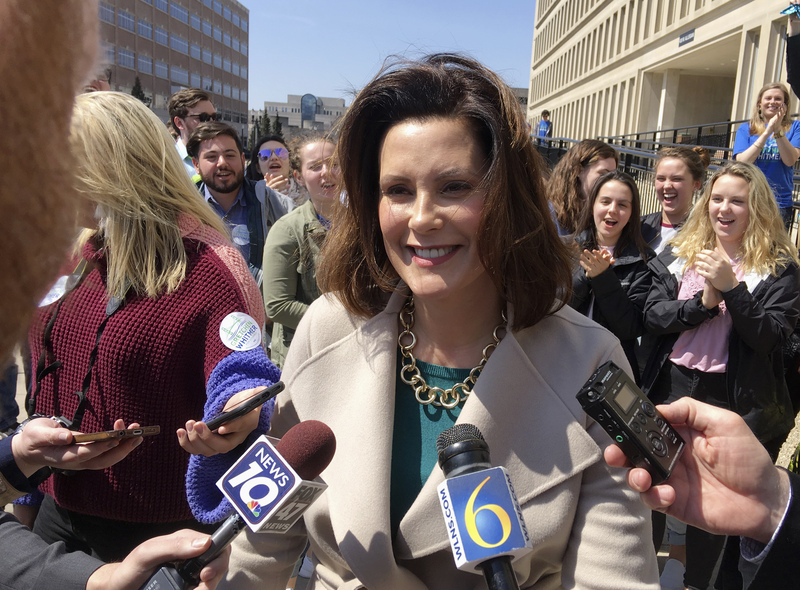 LANSING, Mich. (AP) — Democratic gubernatorial candidate Gretchen Whitmer on Thursday filed 30,000 voter signatures to qualify for the ballot, pledging to make Michigan a state where young people stay and outsiders move to for opportunities. Flanked by boisterous campaign volunteers who gathered and validated the petitions, Whitmer — a former legislative leader who is seen as the Democratic front-runner — became the second Democrat to file, joining former Detroit health director Abdul El-Sayed. The deadline is April 24. Whitmer told reporters that voters are most concerned about job opportunities, the roads and schools. Two-term Republican Gov. Rick Snyder cannot run again because of term limits. To qualify, a gubernatorial candidate must gather at least 15,000 valid voter signatures from at least seven of the 14 congressional districts. Others Democrats running are businessman Shri Thanedar, who is spending millions of his own dollars running TV ads, and retired business executive Bill Cobbs. Republican candidates include Attorney General Bill Schuette, Lt. Gov. Brian Calley, state Sen. Patrick Colbeck and Dr. Jim Hines, a self-funded candidate. The primary is in August.